Car accidents are – for many people – an inevitable part of life. In fact, officials at the National Highway Traffic Safety Administration (NHTSA) estimate that most people who drive as a regular part of their daily lives will be in at least one car accident every 5 years. While this statistic may be disconcerting, people should know that they may have some effective legal recourse after getting into car accidents that may have been caused other drivers (or other negligent parties). In this three-part blog series, we will respond to some common questions that people have about car accidents, what to do after them and what they can expect in terms of the process and payouts for car accident compensation. It’s important to point out that all of the responses provided herein are general but that you can receive more precise answers about your rights and case by contacting a Colorado Springs car accident attorney at Shakeshaft and Gorman Law Firm, P.S. We are here for you, ready to answer your questions and ready to provide you with superior service in your car accident case. Q – I’ve been in a car accident. How do I know if I am entitled to car accident compensation? When you have questions about car accident compensation after traffic accidents, we have answers. Check out these Car Accident Compensation FAQs. Or call us today. A – The easiest way to find out if you have a claim to car accident compensation is to call Shakeshaft and Gorman Law Firm. Essentially, if your accident was caused by another party’s negligent, reckless and/or careless behavior, you will likely be entitled to car accident compensation for your injuries and losses. 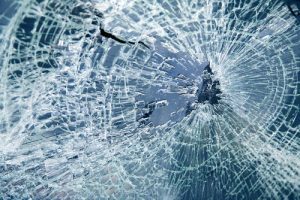 In some cases, determining whether any negligence may have contributed to the collision may be easy and relatively straightforward. For instance, if you were hit by a drunk driver, then the specific negligence was on the part of the intoxicated motorist. In other cases, however, you may not be privy to all of the details about what other drivers may have been doing, how sober they were, etc. when the accident happened, so it will be far less clear if or when other motorists’ negligence has contributed to a collision (or whether other types of negligence played a role in causing the accident). As a result, contact us for a professional case evaluation. We can help you identify if negligence played a role in your collision and, if so, who the negligent parties were and what your claims to car accident compensation may be. Q – When should I contact an insurer after a car accident? A – As soon as you can after the collision. While you may not be able to call your insurance company to report the car accident in the hours after the collision (or within a day or two after the collision) because you’ve been seriously injured, as soon as you are capable of reporting the accident, make sure to call your insurer. The reason that it’s so imperative to report car accidents to insurance companies as soon as possible after the collision is that some auto policies may have some strict and specific requirements about reporting accidents; for instance, some policies may require people to report collisions within 72 hours after the accident. Not meeting these requirements could impact car accident compensation or create other complications with a car accident case. We will continue to respond to common questions about car accident cases and compensation in the additional parts of this blog series that will be posted soon. Be sure to check them out! Or simply contact us for all of the answers you need about your car accident case. Have you or a loved one been hurt in a car accident? If so, Colorado Springs Car Accident Attorney Kenneth Shakeshaft is ready to advocate your rights, help you recover financially and ultimately help you put your life back together. You can schedule a free initial consultation with us by calling (719) 635-5886 or (800) 383-5886. You can also email us using the contact form on this page.